Farmers markets opening, more workshops, and spring bees! Beekeeping workshops at Blue Pearl Farms are intensive, information-rich, small, and hands on, providing you with the information you need to learn about the world of bees, begin your own beekeeping practice, or move forward with your practice after your first year as a beekeeper. Volunteers welcome. Blueberry pruning and management, bee garden tending happening now. 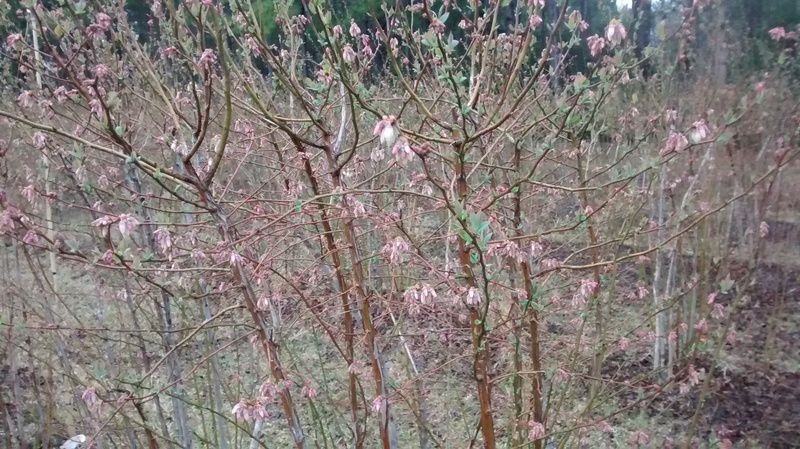 Free blueberry plant for each three hours of your time. If you drive past the Pearl today, you'll see a pasture full of clover, millions of pink and white bell-shaped blueberry blossoms, tiny green leaves on the silver blueberry canes, and if you look closely enough, you'll see bumblebees, carpenter bees, blueberry bees, and our honey bees, practically lined up at every little flower, waiting for a chance to sip its nectar and pack some pollen away to take home. This time of year sees huge increases in bee populations as they "build out," making enough bees for the colony to store all the honey it needs for the coming year and to have a population big enough to do that work. This is the time for beekeepers to closely monitor their hives as it is also time for bees to swarm, their way of dividing a daughter colony from the original. Bees in a swarm stuff themselves with honey before leaving the hive, and are at their gentlest and calmest. If you see a swarm, you can just let it be, or contact a beekeeper who will remove it for you. Don't swat or spray--they are just resting before moving on to a new home. Other kinds of plants put a lot of pollen into the air that may irritate our systems. A spoonful a day of pure, raw honey will boost your immune system and may lessen your reaction to it. Stop by for a taste of the wild forest and its blooming trees, wildflowers and shrubs at one of the markets. Beginning Saturday, April 4, Blue Pearl Farms will be at our usual space on Marion Square for the Charleston Farmers Market from 8 - 2 pm. On Tuesdays starting April 7, look for us at the Mt Pleasant Farmers Market from 3.30-7 pm. We are in a new spot there on the courtyard, opposite the music tent, right next to Charleston Spice Company and Fili-West pasture-raised poultry. Lots of visitors to the farm in the last couple of months for our workshops or just stopping by to pick up some honey or blueberry bushes for their own gardens. Sunday, April 26 is the next Beginning Beekeeping Workshop, intended to help you manage your first hives. 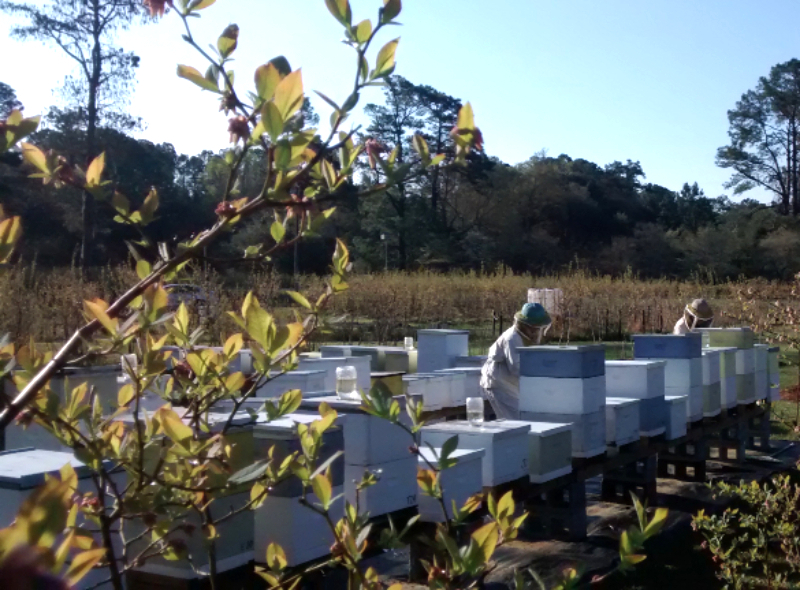 Sunday, May 3, register for Advanced Beekeeping, for beekeepers who have kept bees for at least a season and want to learn about splitting hives, building queens, and maintaining a healthy apiary. A special family-oriented workshop focused on introducing the world of bees and beekeeping to children through hands on activities and observing the bees at work in their world is scheduled for Sunday, May 17. All workshops include reference materials, hands on exploration, blueberry lemonade and light refreshments, honey-tasting, and all the questions you can ask. Please visit our beekeeping page for more information about bees, beekeeping and workshops, or contact us at info@bluepearlfarms.com. To register for a workshop, please visit the online store. Our Certified South Carolina Roadside Market is open from 830 am until 5 pm on Saturdays through May on the farm at 9760 Randall Rd near McClellanville, just off Hwy 17. Farmers markets begin again in April, and you can always find pure, raw, and 100% Blue Pearl Farms honey at our online store, along with our products of the hive from beeswax candles to Brittle Buzz and Buzz Cream. Free shipping for orders over $30. Looking for live, wild-harvested Atlantic blue crab? Contact info@bluepearlfarms.com or 843-887-3554. 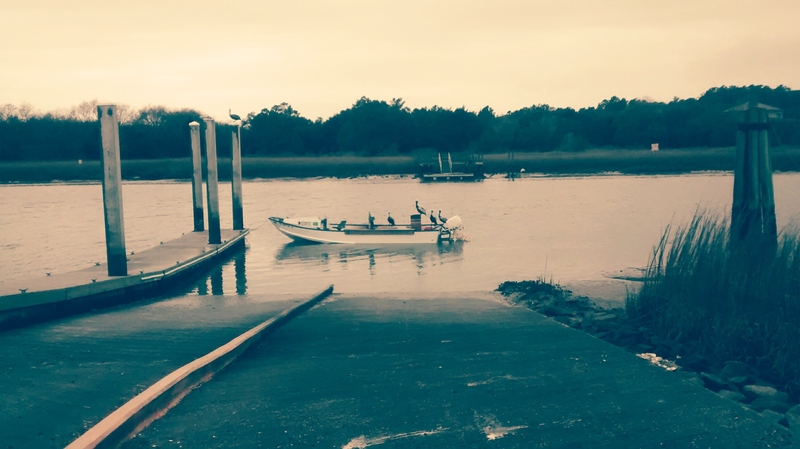 We are out several times a week in the waters off McClellanville through early May, selecting the best available. Just ask the pelicans.